Lois “Anne” French, age 79 of Osgood, passed away Tuesday, March 26, 2019 at the Manderley Health Care Center in Osgood. She was born April 3, 1939 in Cincinnati, Ohio to the late Donald W. and Lois Huff Mink. Anne married Philip Edwin French on May 31, 1967 and he preceded her in death on May 14, 2004. Along with being a loving wife and mother, she also loved her community. 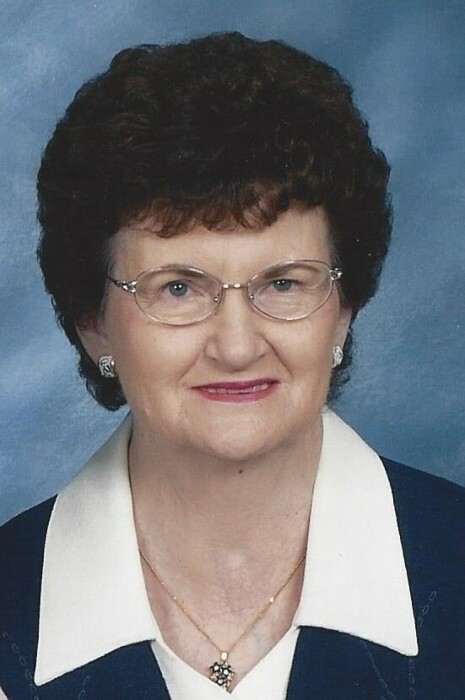 She was a long-time member of the Osgood United Methodist Church, past member of the Osgood Lions Club and Osgood-Versailles Tri Kappa, and served as a Jac-Cen-Del School board member in the early 1980’s. Anne was a member of the Ripley County Women’s Republican Party and was elected to two terms as the Ripley County Recorder. Anne spent over 40 years serving in County government. Throughout her career she also served as a Deputy in the Recorder, Clerk, Assessor, and the Center Township Trustees Office. She was known for her kindness and soft gentle nature. Survivors include her two sons: Jeffrey (Susan) French of Versailles, IN and Christopher French of Osgood. Three brothers also survive: Donald Mink of Indianapolis, IN, Daniel Mink of Osgood and Thomas Mink of CA. Two sisters, Cynthia Mink of Osgood and Nancy Mink of California, also survive. Her brother John Mink preceded her in death. Services will be held this Saturday, March 30, 2019 at the Osgood United Methodist Church. The visitation will be from 10:00 am until 12:00 pm at which time the funeral will begin. Burial will be at Greendale Cemetery near Osgood. Memorials can be made to the Methodist Church. Neal’s Funeral Home is handling arrangements.